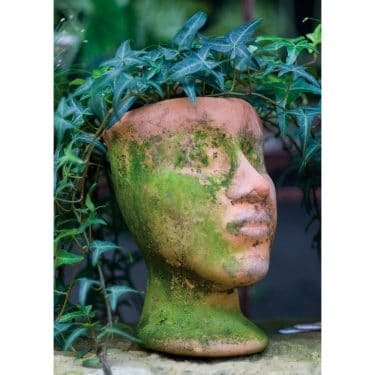 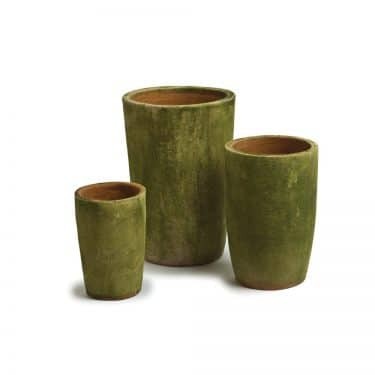 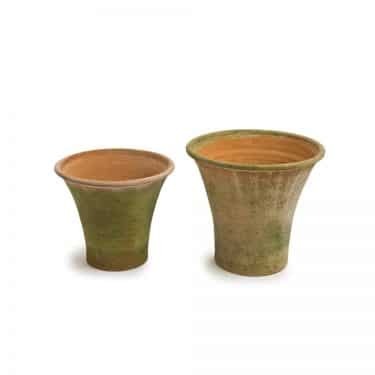 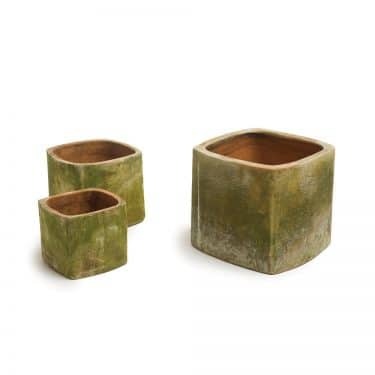 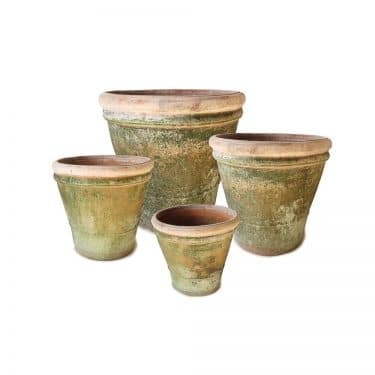 AGED CYLINDRICA PLANTERS | Campo de' Fiori | Naturally mossed terra cotta planters, carved stone, forged iron, cast bronze, distinctive lighting, zinc and more for your home and garden. 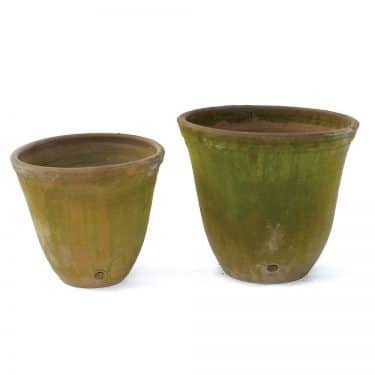 These modern shapes, equally as welcome in an urban setting or on a country terrace, are a relatively recent addition to Campo’s offerings. 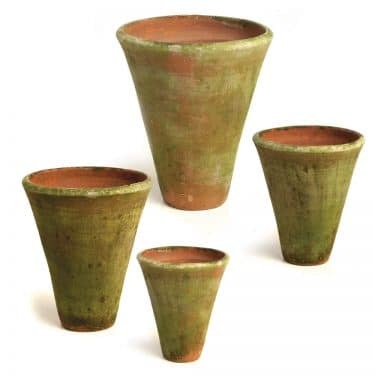 The Cylindrica shape is simple and can add a vertical thrust to any planting. This design comes in three sizes. 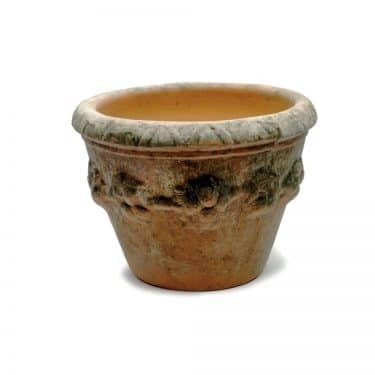 5.75" D 9" H - Fits Metal Saucer #3, or Terra Cotta Saucer #2. 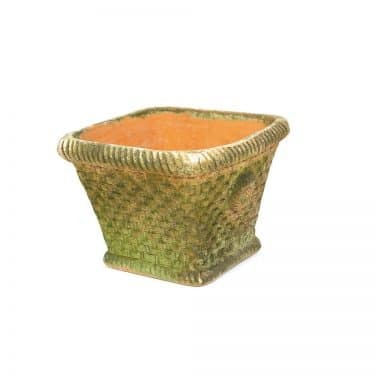 7.75" D 11.5" H - Fits Metal Saucer #4, or Terra Cotta Saucer #3. 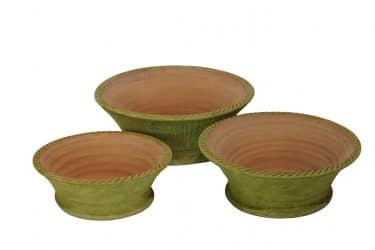 9.75" D 15" H - Fits Metal Saucer #5, or Terra Cotta Saucer #4.